Newman, one of the leading figures of 19th century England, was born in London on February 21st 1801 and died in Birmingham on August 11th, 1890. After graduating from Trinity College, Oxford, he became a Tutor at Oriel College, Oxford, and vicar of St. Mary’s University Church. In 1833 he, along with others, initiated a spiritual and doctrinal revival of Anglicanism known as the Oxford Movement. Through his historical study of heresies, which occurred during the first six centuries of Christianity, he gradually became convinced of the errors of Anglicanism. At the age of 44, he became a Roman Catholic. He was ordained a Roman Catholic priest and established the English Oratory of St. Philip Neri. Newman dedicated his life to educational endeavors and the pastoral work of the Oratory. In 1854 he started the Catholic University of Ireland. He published numerous articles and books which have brought greater understanding of the Catholic Church to many, both in the past and in the present. Newman’s Apologia pro vita sua is an autobiographical account of his conversion and a defense of Roman Catholicism. 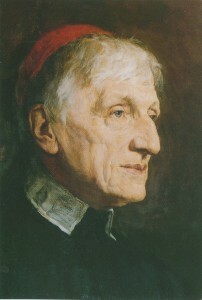 In 1879, Newman was created a cardinal by Pope Leo XIII. Newman was an outstanding writer of English prose and poetry; he was also both a Church historian and a theologian.